« Once upon a time, a leap-second …..
One city, one year, 780 murders. 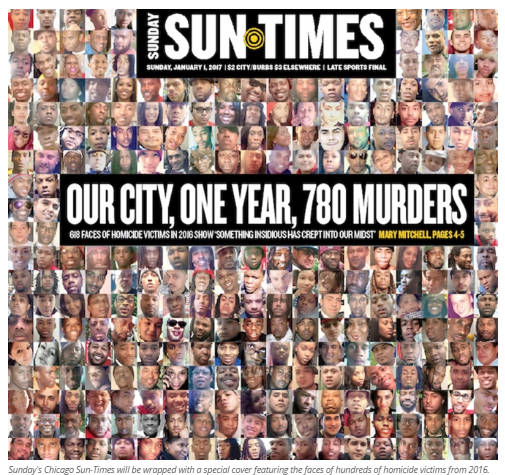 In 2015 Chicago had 478 murders. 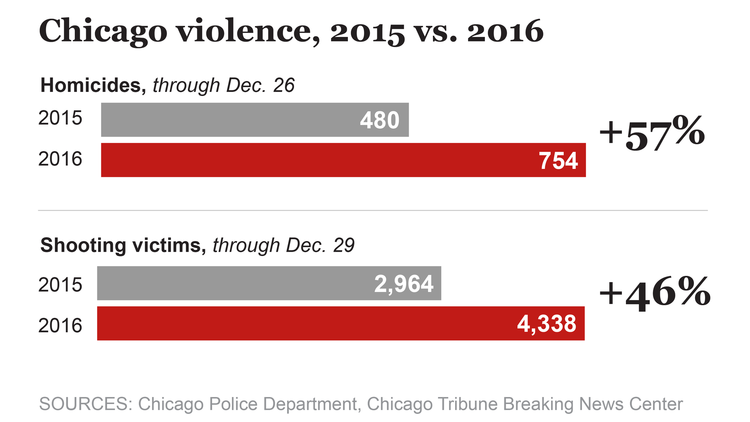 The 780 victims are mainly young and male, mainly black and Hispanic. The murderers are mainly young and male, mainly black and Hispanic. Politically, Chicago is a Democratic stronghold, voted overwhelmingly for Hillary Clinton and it is “home” to Barack Obama and Rahm Emanuel among others. Clinton won more than 83 percent of the city’s vote, just shy of Obama’s 2008 and 2012 results. Of Chicago’s 2,069 precincts, Trump won 51. This entry was posted on January 1, 2017 at 1:21 pm and is filed under Behaviour. You can follow any responses to this entry through the RSS 2.0 feed. Both comments and pings are currently closed.